Warning: Just Like Arya In Season 1, We’ll Be Spoiling Everything In This Article! Season 7 is over, and what a way to end the season! Viserion’s epic destruction of the Wall was a scene that will go down in Game of Thrones history. The devastation was massive and it’s hard to see how anyone could’ve survived that, but it’s pretty much guaranteed that Tormund will return. Even Game of Thrones isn’t brutal enough to off one of the fan favourite characters and not even show it on screen. Luckily there is a ‘blink and you’ll miss it’ moment during that final moment that proves that both Tormund and Beric are alive and as well as can be under the circumstances. 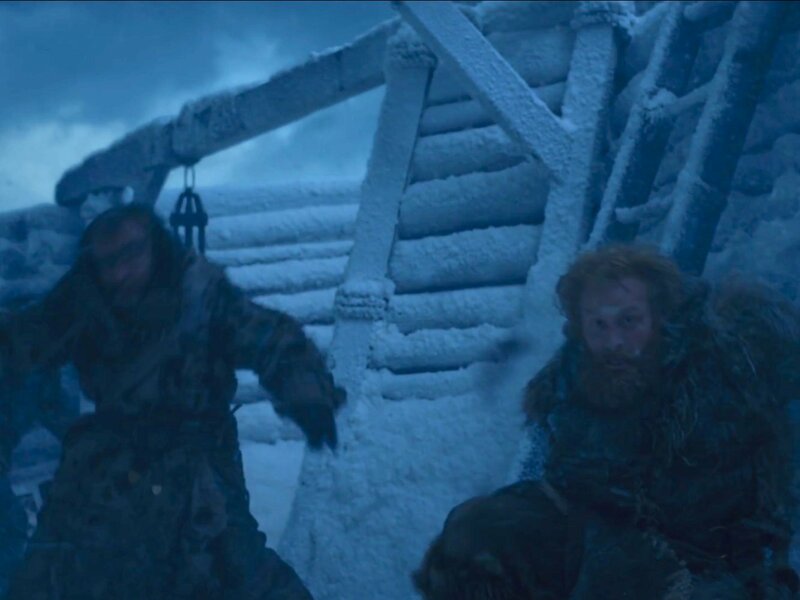 If you look during the destruction of the Wall, you can clearly see Tormund and Beric are away from the edge of the Wall and are well away, running as quick as possible from the destruction behind them. Couple that with the shot of the Wall tumbling down, we can see that part of the Wall with human structures is still standing. That means that Tormund and Beric are still kicking, thank the Lord of Light. That also means they will be behind the massive army of the undead, so they will probably high-tail it straight to Castle Black to tell the Night’s Watch that they’re basically pointless. They’ll then take the guardians of the north and join the fray down south. This might not happen, but as long as Tormund and Beric are alive that’s all that matters.